Just 3 days ago I upgraded from Windows 7 to Windows 10 Pro. Didn't have any major problems at all apart from not having Realtek Audio Manager installed properly but that was fixed with a simple driver install. But yesterday morning I had a BSOD, and then another one in the evening. Checked Bluescreenviewer to see what was causing it but it doesn't tell much apparently (First one marked hal.dll and second one marked both hal.dll and ntoskrnl.exe). Wanna see if you guys could help me out with this one. https://1drv.ms/u/s!AtNxUqSedeG7bLIwdetG087UhCo?e=C4ITdz (File sharing website: OneDrive) Small memory dump zip of a crash just 20-30 minutes ago while playing a game. If I'm missing something important regarding my pc or if you guys need any additional info that can be useful to you. Please do tell me. I will ask @gardenman to convert dump files into a format I can read. It was an error called by CPU but not necessarily caused by it, since you updated from 7 to 10 its likely just an old driver. Comment: 2 or more types of RAM are installed. There is a BIOS update available for your system. Wait for additional information before deciding to update or not. Important: Verify that I have linked to the correct motherboard. Updating your BIOS can be risky. Never try it when you might lose power (lightning storms, recent power outages, etc). Yeah I forgot to mention that, its a 2GB DDR2 Stick and a 4GB DDR2 stick installed. And as you said, I will wait for additional information before updating BIOS, I have never messed with any updates to the BIOS with my computer before, this seems to be a problem with me upgrading to Windows 10 from 7. Also, I don't know if this can help but this clock watchdog timeout thing only happens when I play heavy CPU stress inducing games. Hasn't happened while using the browser but when I play games like Smite (A MOBA with heavy graphics and effects I can only last about 10-15 minutes before crashing but I can play less graphic-intensive games all day. See this post in regard to upgrading bios - https://community.acer.com/en/discussion/480197/acer-aspire-m3985-bios-upgrade - I would only do it if you sure. only difference is size of ram sticks, 1 is the 2gb stick and other is 4gb, code differences account for different sizes. All Acer ram, expect its from factory. That dfx12x64.sys is from DFX Audio Enchancer. Something I used on Windows 7 to increase the audio since it was low for me. I uninstalled it. I will hold on from updating BIOS just as a last resort I guess. 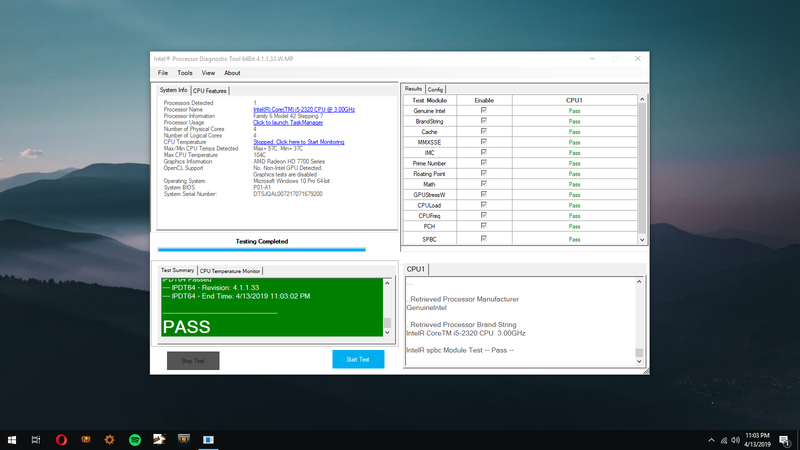 Also I ran the Intel Processor Diagnostic Tool and I got a clock watchdog timeout again during it's test and when I booted the PC and logged in with my Windows Credentials I got a Machine check exception BSOD which was new. I'm sorry I don't quite understand, what do you mean make it in another PC? I don't really have another one. Ran the program and passed all tests without issues this time. Before I ran it while using browser and watching streams so maybe that was too much and crashed but now I ran it without anything open and it passed. Try running driver verifer, just read the instructions carefully. It is part of win 10 designed to find misbehaving drivers. It will cause BSOD, that is its job since it tests drivers. Once it bsod, upload the minidump file and we see what it shows us. choose system restore and roll system back to restore point created in step 1. PC should boot normally. I ran the driver verifier and crashed 2 times on boot with the DRIVER_VERIFIED_DETECTED_VIOLATION message (although it didn't specify which driver it was) before sending Recovery message on 3rd boot about using installer to boot properly. It didn't create a minidump for both of these crashes, only for one. https://1drv.ms/u/s!AtNxUqSedeG7bmKiqoMLeXfMF4Y?e=DcjVWN One drive link for zip file containing minidump file. Please contact your device manufacturer website for product driver downloads. The driver downloads offered below for the RT2870 are designated for business partner use. its your wifi which isn't surprising, it is a win 8 May 2015 driver on system and newest on Acer web site from 2012. There are drivers at link above, but not sure they will work on your PC. Searched around the web and found this link which points to an update from 07/15/2016 for my RT2870. Installed it and seems legit. (Past update which seemed to be the issue of the BSOD was Driver Version: 5.1.25 and from 2015 and this ones from 5.1.28 and from 2016). Gonna play around my pc for a while and see if the BSOD clock watchdog thing persists. Thank you for your help Colif and gardenman for helping me along. Will update with more minidump files if the issue persists. Ok, I was able to use the PC and play around for like an hour before I got the first BSOD, again a clock watchdog timeout. After that I couldnt use the pc for more than 5 minutes before getting another one. In total I tried using the PC 4 times after the first one. In total I got 4 clock watchdog timeout and 1 machine check exception before stopping using the PC. RAR File (On OneDrive) Contains the 5 small memory dumps. If it's still the driver from my wifi adapter card then I will get rid of it. I just want to know if thats still the issue since I updated the old driver to a Windows 10 driver. guess I will have to wait for gardenman to read dumps and see. drivers appear to be made by Airties Wireless networks, or at least thats who make the devices the drivers are for. Always suspect of drivers that claim they work in XP all the way to win 10, its highly unlikely and more likely win 7 drivers. I stop speculating as bsod might be something else. I see some ''Windows 10'' drivers from May 2015, I thought you said anything prior to June 2015 cant be a windows 10 driver, should I try installing one of these and check it out or just wait for gardenman to help you read the dumps and continue. What do you think? 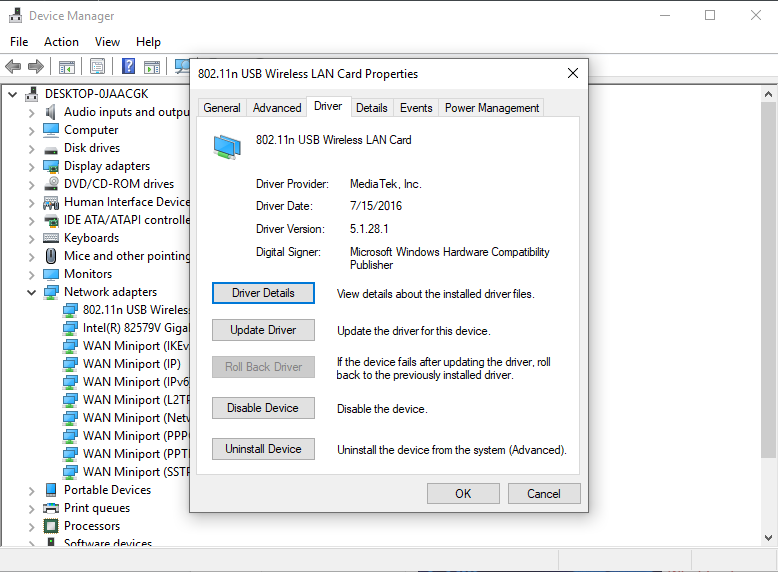 The main reason many old drivers don't work on win 10 is digital signing. If the driver itself has not been supplied to MIcrosoft to be digitally signed to work with Windows 10, the operating system will refuse to run them, or let you install them. If companies do supply a copy to MIcrosoft, then it will run. This explains why files from 2012 and earlier can keep working on windows 10. Your PC isn't a good example but many AMD PC still have files form 2009 on them that work because AMD sent copies to MS for signing. I interpret that as being the LAN drivers still. It doesn't help that 4 of them say unknown image where driver name should be. I am helping someone else here with the same model PC, I just realised looking at the bios page... small world, he is getting the same error codes... coincidence? you both have same bios version, only way i can tell 2 dumps apart is number of errors and yours shows how much ram is installed. I think you need a new wifi card.